Alright, friends! As promised, here is a wonderful giveaway from Ugglebo! Ugglebo clogs are handcrafted in Sweden, in the same factory where they were founded in 1965. Today, you have the chance to win a pair of your very own! To enter, please visit the Ugglebo site and pick a favorite pair of clogs. Leave a comment here linking to your favorite! Please leave a separate comment for each entry. This contest is open internationally. The winner will get to choose a pair of clogs (boots are excluded). Giveaway ends on Tuesday, June 19th and the winner will be announced shortly after. Good luck!! I like Ugglebo on FB for an additional entry. I'm following Ugglebo on twitter for an extra entry! Also following on facebook for an extra entry! And following Ugglebo on twitter! I'm following on Pinterest for an extra entry! i love the blue victorias! I'm following Ugglebo on YouTube for an additional entry! I love the Madrid clog in Red! I am in love with the Rio Grande Clogs in Black. I hope I win! I love the ones you are sporting. The Milan clogs in red for sure! Thanks for the awesome giveaway Katie! I love the ones you're wearing, the milan high clogs in red! I am smitten with the Milans high in red or navy, and been coveting them forever! Ooohh! I want the Madrid in red. I also follow them on Facebook (FB name - Ivy Fuld)! I also follow them on Twitter (Twitter ID - cheerfuld)! I also follow them on Pinterest (Pinterest ID - cheerfuld)! I am loving the Rio grande wedges! Ahhhh, these are adorable! I love the Rio Grande clogs! i just LOVE the noori in red! gorgeous stuff. Also following them on YouTube! Also signed up for their newsletter! I love the red Milans!!! I like the Maya Clogs in Olive! I signed up for the Ugglebo's monthly newsletter. i've followed on pinterest too! I liked Ugglebo on Facebook. I follow Ugglebo on Twitter. I follow Ugglebo on Pinterest. Oh my gosh, I just love the Milan Clogs in red! I follow Ugglebo on youtube. cute!! I totally want a pair! I am signed up for Ugglebo's monthly newsletter for an additional entry. I loovee the Milan high clogs!! The Etna clogs in red are my favorite! I actually love the ones you're wearing in the picture...I noticed lately that I'm really into red shoes! I love the Rio Grande wedges. Lovely. I follow Ugglebo on Twitter! And I follow Ugglebo on Pinterest! 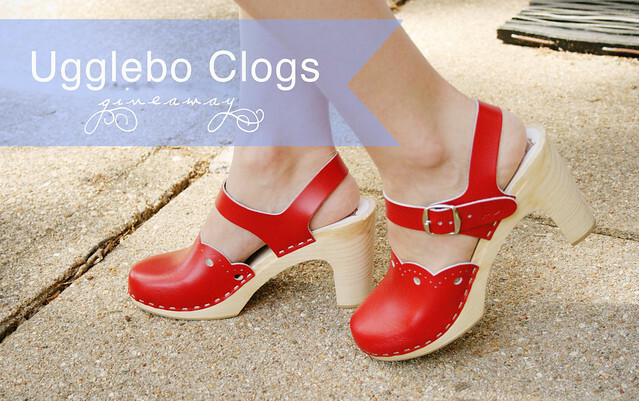 I love the milan high clogs in red!! thank you! I've liked Ugglebo on Facebook! I loooove the Victoria clogs, both the round and square toe look irresistible to me! I love the Rio Grande wedges in Red. cheltrl@gmail.com! Love the rio grande wedges in red! I liked Ugglebo on FB! And I signed up for the monthly newsletter! Oooh, Milan Clogs in Red! I'm following Ugglebo on Twitter! they have so so many pretty ones! i love the etnas, but my absolute favourite has to be the milan highs in red (http://www.uggleboclogs.com/milan-high-swedish-clogs-in-red.owl), or the lower ones in blue. and I've signed up for their newsletter. I would loooooooooove the Milan clogs in red! I have liked Ugglebo on FB for some time now! Thanks for creating so many additional entries and just being altogether awesome. I adore the red Rio Grande Wedges. I have just the hundred outfits for these shoes!!! To be honest, I can't choose between the Rio Grande in Denim and the Victoria in Brown. They're both so lovely! also, i follow them on facebook! Definately Madrid Nature! So neutral and great for everday! I simply adore the Milan High in Brown! So versatile! I'm following them on twitter and I've subscribed to their YouTube channel. I really like the Milan Clogs in Ocean. LOVE the madrids and the milans!! I adore the Rio Grande wedges in red! Following them on Facebook too. I love the Milan Clogs In Red in the Low Heel! So cute! Awesome, i love the Madrid clogs in red! 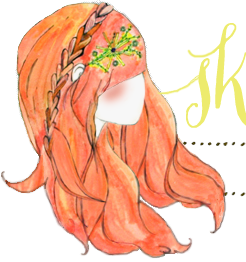 i probably should comment on your as often as i read it, and not just limit my comments to giveaways, so i'll try to get better about that! anyway, i have so many ugglebo favorites it's not even funny, but my top favorites are the rio grande wedges (http://www.uggleboclogs.com/rio-grande-wedges-in-purple-ash.owl), and rio grande high (http://www.uggleboclogs.com/rio-grande-high-swedish-clogs-in-green-ash.owl). Cant decide on what color I like best of the Milan style! Black would be the most practical, but I also love the blue...http://www.uggleboclogs.com/milan-swedish-clogs-in-black.owl. Followed on Pinterest, Newsletter, FB, Twitter and YouTube. These are seriously amazing shoes. I love their commitment. i'm already signed up for their newsletter (under 2 addresses, even)! The Milan Clogs in red (low heel) are stunning!!! i'm already an ugglebo follower on twitter. I am desperate for the Madrid mids in RED <3! last entry, i follow them on pinterest. I follow them on youtube as well :) Wooh, clogs, shoes! Rio Grande in denim for me! i'm not sure which i like best, the madrid or the rio grande, but this color is amazing! and i'm following on pinterest!! I love the Madrid! Thank you! I'm definitely into the Victoria clogs. So, so cute! I also like Uggglebo on facebook! I love the Victoria clogs in brown, http://www.uggleboclogs.com/victoria-swedish-clogs-in-brown.owl. The Red Milan Highs look adorable on you! I'm loving the Rio Grande Wedges in Purple Ash (how amazing is that color name.) They would look lovely with so many dresses...thanks so much for the giveaway! I love the madrid red clogs. Also followed Ugglebo on Pinterest. I LOOOOOOOOOOOOOOOOOOOVE the MILAN clogs, I need the clasp!!!! thank you for creating beautiful AND healthy footwear!!!! I hate to be a copycat but the ones Katie has are truly my bestest, am a sucker for scalloped edges! Will you be announcing the winner on this post or a new one? So excited! Thanks again for the opportunity! I liked them on Facebook! AND.... I also follow them on Twitter. Thanks, again, for offering this giveaway! I am following them on twitter as well...thanks again!